If you were to walk the show floor at PAX Prime and survey any random passerby about the franchise they're most excited is making a return, you'd find that nearly every single one of those people would bring up XCOM. It was always a favorite in the eyes of PC gamers and revolutionized the turn-based strategy genre, but it fell off after a few sequels. 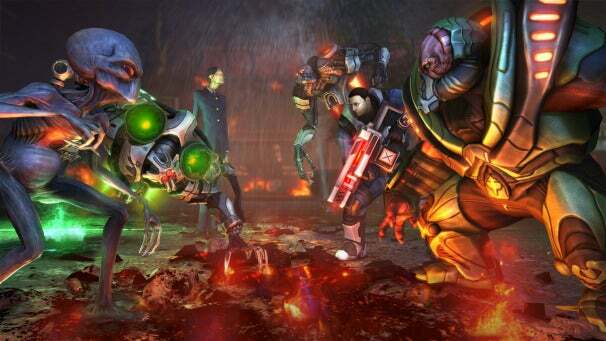 Series fans should fret not, because XCOM is back and it's here with a vengeance. As is typical for an XCOM title, aliens land on earth and things start going awry very quickly. We don't know much about them or even what they are, but we still need to figure out what's going on and how we can stop it. There are reports of alien sightings and we haven't heard from one of our teams in Germany. That's where our team from the PAX demo comes in. We saddle up and make our way toward Germany. Soon after landing, the gameplay begins. This first level is just a simple tutorial area that takes quite a while to get going, but the core gameplay is worth the introduction. In XCOM: Enemy Unknown, you move each member of your squad around the map individually. They can only move a certain distance per turn, but they can also give up their action ability and sprint to reach further distances. This is a really cool tradeoff, because it allows you to move quickly across the map, but also leaves you somewhat vulnerable to enemy fire. You have to decide which route is better for you to take, so it all depends on your play style. I quickly learned that despite the need to keep combat flowing, XCOM: Enemy Unknown requires patience and that you need to think about your strategy for much longer than it takes you to actually execute it. Sure, you can move around quickly and play things loose and fast, but that'll probably end up in you losing some members of your team. You don't want to lose any members either, as you'll level them up after completed missions, so you need to keep veteran soldiers around as long as you can to preserve their upgrades. After each mission, you'll return to headquarters for mission briefings, team management, and scientific research. This becomes the hub that the game takes place around, and it ends up working extremely well. It isn't difficult to navigate and works just as well with an Xbox 360 controller as the rest of the game does. In this facility, you can choose different upgrade paths for your characters and weapons. After each encounter, you'll have the option of choosing two different types of material to research. One might improve your armor's resistance to alien technology, while another might increase weapon damage, so again, it's really all about your different play style. If you like to play a bit more defensively, you'd go for the improved armor, but if you're the run and gun type, you're probably better off going for the increased weapon damage. This will continue throughout the entire game, so you'll constantly be making decisions that effect how things play out in your world. You can also upgrade your characters' equipment and thus change how later levels will play out. For instance, I gave the soldier who survived the first mission a rocket launcher. While this might not seem like such a big deal, I was able to blow up a building instead of taking the time for the aliens inside to kill me because I had it. It changed the way that the level could have played out and worked brilliantly. The section of the game that I played was very focused and would only let you level up certain areas at a time, but that won't be the case once you get beyond the starting area of the game. There's still so much of XCOM: Enemy Unknown that we haven't seen yet, but based on what's been seen so far, I don't think we have anything to worry about. It has classic XCOM gameplay with beautifully done HD graphics, and that sounds like a win to me. 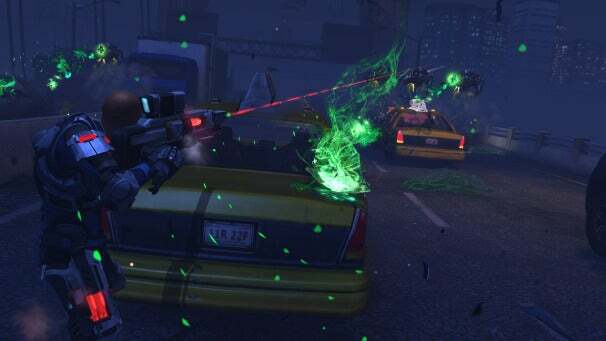 We'll have more coverage as we approach XCOM: Enemy Unknown's October 9 release date.